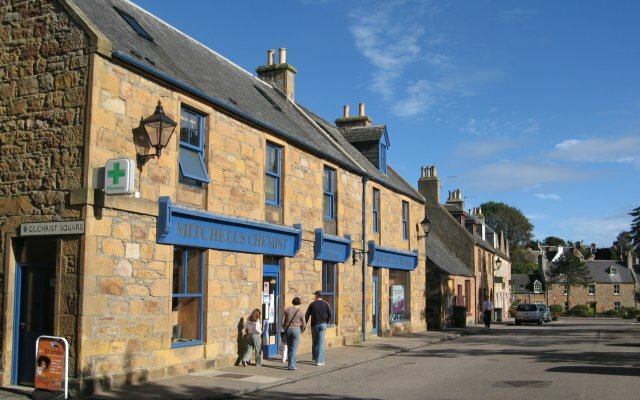 Dornoch High Street @ High.St - High Street shops and High St businesses. Large Google map of Dornoch High St.
Dornoch is North of Inverness and just 5 minutes off the A9. This makes Dornoch a small, quiet, tranquil place to visit. Situated in a very scenic area with a great beach, a championship golf course and some beautiful old buildings, including a cathedral, the town attracts an unsurprising number of visitors. Within the town, you might want to learn about the history of Dornoch at the Historylinks Museum or visit the Cathedral, which dates back to 1224. Out of town but not far away is the Falls of Shin visitor centre containing lots of exclusive luxury gifts from Harrods; well worth a visit but don't forget the truly unique beauty lies in the scenery outside the shop! For us, a trip to Dunrobin Castle is a 'must see' attraction. Not only is it a magnificent fairy tale castle with wonderful gardens but they also have a fantastic display of falconry. For more information, try the Visit Dornoch website or the Dornoch Community website. Detailed maps and information are also available from the RPA Smith Street Maps web site.